A champion Saint and three prospective youngsters headline the extended squad inclusions. 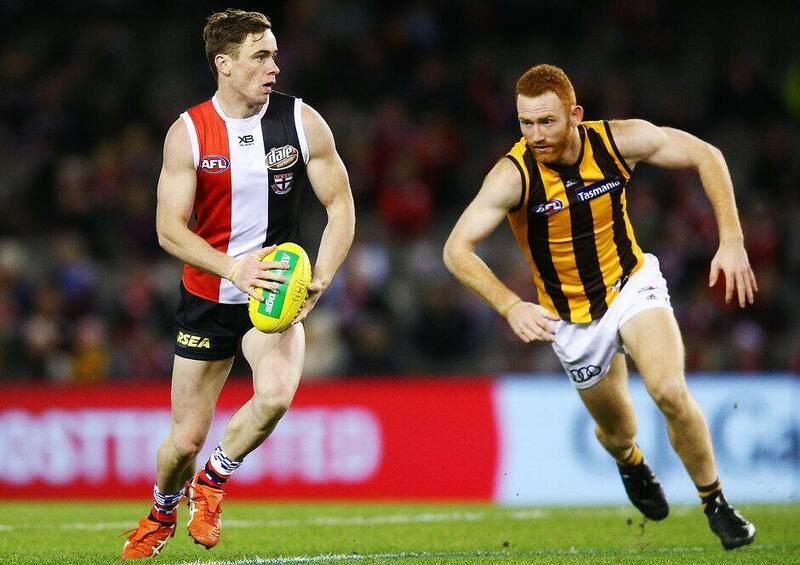 The possible return of a champion Saint and three prospective youngsters headline the squad changes ahead of St Kilda’s Round 4 encounter with Hawthorn on Sunday afternoon. Four-time Trevor Barker Award winner Jack Steven, dynamic forward Ben Long and upcoming defenders Ben Paton and Darragh Joyce have been named in the extended squad as the Saints look to secure their third win of the year. Steven was managed last week due to his limited pre-season preparation, but should he prove his fitness, will be raring to go against the Hawks on Sunday afternoon. The 29-year-old’s explosiveness and experience through the centre will be vital, despite the Hawks lacking some senior midfielders of their own in Shaun Burgoyne and Liam Shiels. Ben Long was pushed out of the side in Round 2, but impressed in Sandringham’s season-opener against Footscray last Friday night. Long ended his evening with 17 disposals, five tackles and a goal, with his forward pressure and bursts through the midfield highlighting his versatility. Paton was selected as the travelling emergency last week and will be gunning to make his first appearance for the red, white and black for 2019. Despite only playing the three senior games, Paton’s maturity and composure could be an important trait to help rein in some of the Hawks’ more hot-headed players. Darragh Joyce was squeezed out of the senior line-up following an impressive outing against Gold Coast in Round 1, but has made a pressing case for a recall over the past fortnight. Like Paton, Joyce made the trip west last week, but an unhampered backline ultimately meant his services were not required against the Dockers. Check back into saints.com.au from 5pm this Friday to view the final team.